Located right in the middle of the action, the Marketplace Stage is a great option for those needing a break from the hustle and bustle of Disney Springs, or those just wanting to check out the daily entertainment. The stage sits right on the main pathway in marketplace so it’s hard to miss. Plus the views behind it of Lake Buena Vista are gorgeous! Disney brings in entertainment such as top bands, DJs, and local dance, marching band, or choral groups. It’s great to stop and listen to, but also fun to just hear far off music as you wander Springs. Going to the movies isn’t necessarily the first thing you think of when going to Disney. But sometimes it can be really fun! 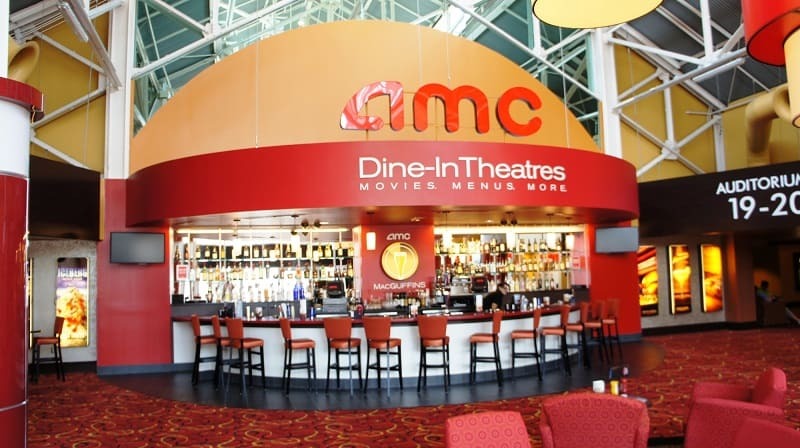 AMC Movies is a large theater complex that always has the newest releases. An added feature of this theater is the incredible Fork & Screen Dine-In opportunity. With this you can catch a great movie and have a delicious meal! If it’s a rainy day, or there’s a premiere, or you just feel like seeing a flick, AMC is a great entertainment option. House of Blues is a such a sweet entertainment experience no matter where in the world you’re visiting. But everything is better at Disney! Located in Disney Springs West Side, House of Blues rocks out every evening with some of the best bands out there. At this music house, guests can begin the evening with a great meal, check out the talent on stage, then dance until closing! With its funky décor and chill atmosphere, House of Blues is the place to be! 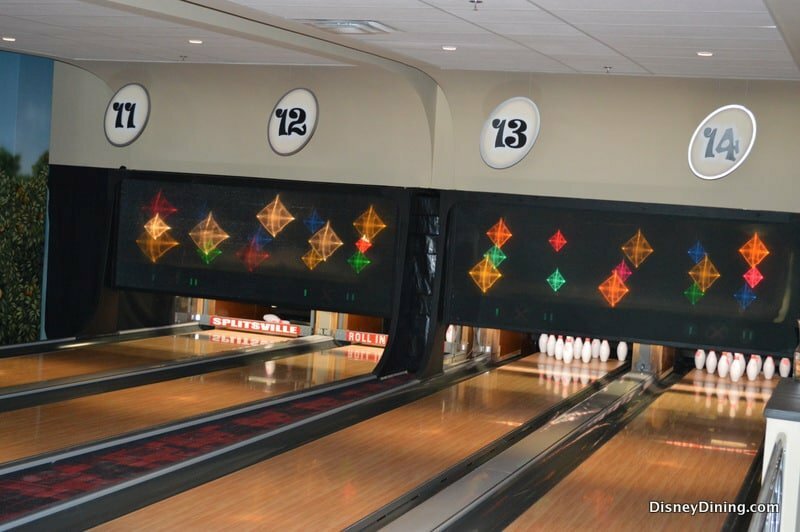 Splitsville is bowling done right. This is not just your ordinary bowling alley: this is a multilevel, luxurious, dining, entertainment experience. 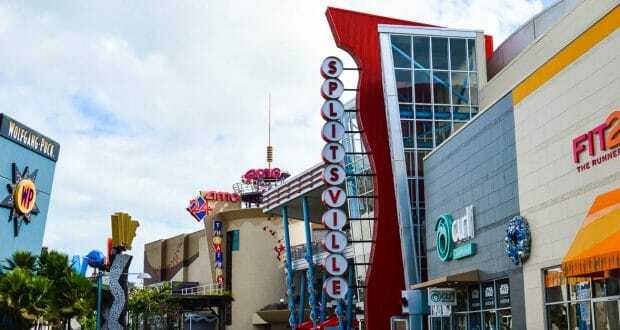 Splitsville has plenty of lanes and games, but it also has an entire seating area dedicated to their full menu and bar. From sliders and nachos to pizza and sushi, Splisville’s got you covered. They also occasionally feature musical guests to entertain you while you play! This is such a great way to get the most out of Disney Springs, whether you stay for a round or the whole night! Raglan Road is known for its killer fish and chips and dancing. During your meal in this Irish Pub you are entertained with true Irish song and dance on the stage at the center of the restaurant. This is awesome. But after hours, Raglan Road brings the party outside. Every day from 8pm-12:30am, the Raglan Road musicians and dancers come onto the patio outside of the main doors and put on an energetic, engaging show. This is a great entertainment option for those who want to grab a pint, hear some great tunes, and relax! This one is so cool. This entertainment option is like The Great Gatsby come to life. That’s even how Disney bills it: it’s like stepping into one of Jay Gatsby’s famous parties. 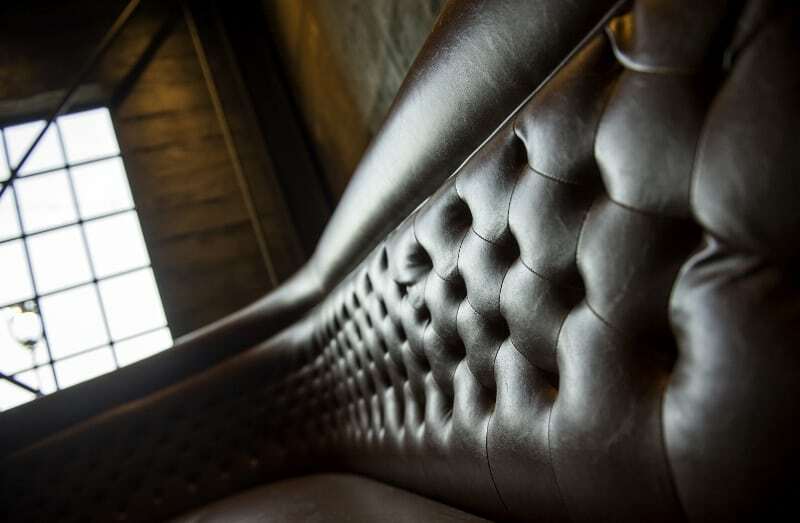 The Edison is a remarkable new restaurant, full of lavish décor and decadent food. But the nighttime, adult-only entertainment puts it over the top. Featuring circus acts, swing music, 20’s style flappers, and a large dance floor, The Edison knows how to have a good time. For guests, this is like stepping back in time – with a full bar! For something unique, fun, and ridiculously entertaining, check out The Edison.